Already published on several blogs, this song, often sampled, is the story of a big rip off. 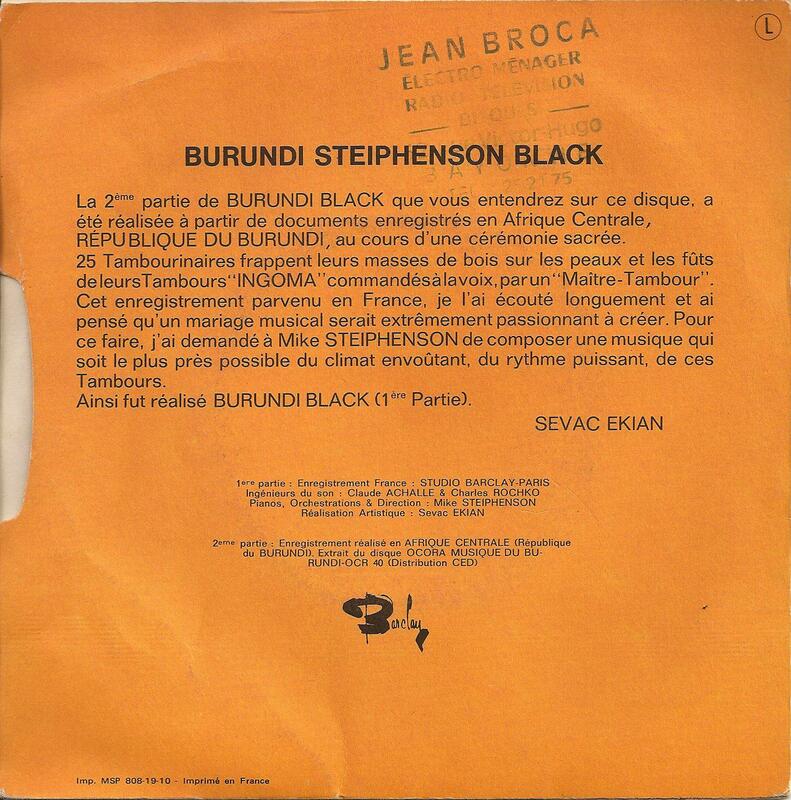 An percussion orchestra of 25 Burundian musicians were recorded in Africa for French ethnic music label, Ocora. A producer named Claude Sevac Ekian, heard the record, probably get his hands on the original masters and recorded in a French studio a new orchestration of the track with the help of a guy named Mike Stephenson, who played piano and guitar over it. 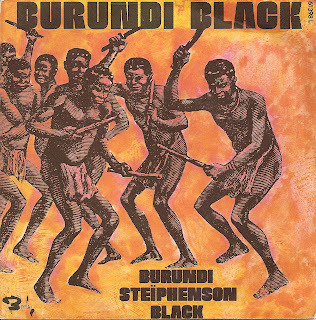 It was then released as a 7" by Barclay and sold pretty well but the Burundian drummers never received any cent of it and probably never heard of the recording either. 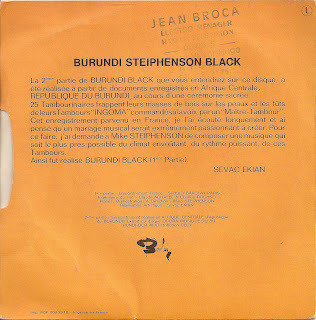 It can be seen as one of the first sample based song or just a plain theft of African culture by Western msuic sharks. Anyway, despite this sad story, Burundi Black is a very good, tribal, hypnotic, trippy and cinematic song. Hi, everybody. There were obviously some problems with the link but I just fixed it and it's working.